PEORIA – Considered the definitive heavy metal band of the early 1990’s, Alice in Chains will be playing in the Peoria Civic Center Theater on Sunday, April 21 at 8:00 pm. Drawing equally from the heavy riffing of post-Van Halen metal and the gloomy strains of post-punk, the band developed a bleak, nihilistic sound that balanced grinding hard rock with subtly textured acoustic numbers. They are hard enough for metal fans, yet their dark subject matter and punky attack placed them among the front ranks of the Seattle-based grunge bands. Since the band’s formation in 1987, Alice in Chains has released six studio albums, three Ep’s, three live albums, four compilations, two DVD’s, 32 music videos, and 31 singles. Tickets for the Peoria show go on sale Friday, February 1 at 10:00 am. 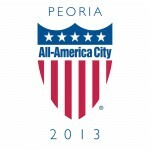 Tickets ranging from $46.50 to $75, can be purchased on www.ticketmaster.com or in-person at the Toyota Box Office, located inside the Peoria Civic Center.